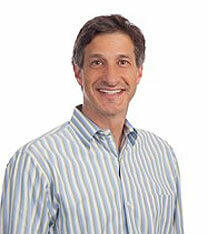 Joe Reinstein is a marketer who builds brands, online communities and high performing teams. He has been marketing products, brands, dreams, environmental awareness and social justice for 25 years. He has worked on some of the biggest and most iconic consumer brands in the advertising world. He helped Pepsico’s Aquafina become the #1 brand of bottled water in the US. He helped Taco Bell revolutionize the fast food industry with creation of the value menu. When Joe was managing the US Wrigley business at BBDO, Wrigley sales and profits hit record highs, Orbit became the #1 selling gum brand in the world and the Doublemint Twins made a triumphant return. As VP Marketing at Medline Industries, Joe helped transform this $8 billion healthcare manufacturer and distributor into a total clinical solutions provider. Joe has a deep love of country and the democratic process and was a senior strategist in the Obama administration serving as Deputy Social Secretary in the White House and Director of Surrogates at Obama for America. At the White House, Joe created events to support the President’s and First Lady’s initiatives and provide content for the administration’s digital platforms. As Director of Surrogates at Obama for America, Joe recruited and prepared highly influential people to campaign for the President. By combining powerful analytics and data with influencer content, Joe helped create the largest grassroots online community in history. Prior to joining Performics, Joe was Chief Marketing Officer of the Chicago Blues Experience, a new museum and entertainment complex. Joe’s passion for social justice has included work to change perceptions of the United Way by redefining its brand from charity clearinghouse to community impact organization. Joe is a founding board member of Cool Globes, a non-profit organization established to raise awareness of global warming. Launched in Chicago, Cool Globes’ public art exhibit has travelled to 16 cities, 7 countries, 4 continents, and has been translated into 9 languages reaching over 10 million people. Currently, Joe is helping lead digital strategy for Know Tomorrow, Cool Globes’ new campaign to unify, amplify and synchronize millennial voices demanding action on Climate Change. Joe is an avid snowboarder, tennis player and political junkie who married his college sweetheart and is a devoted father to their two beautiful, talented and brilliant daughters.